Local banks have been looking towards innovation as a means of instituting efficiency as well as chasing growth. The technology solutions not only target the end consumer but have also targeted businesses. Last year, Chase Bank partnered with Safaricom in the launch of a business solution called Mobile to Bank. The solution aggregated banking solutions such as payment and credit facilities and delivered them ed them on a mobile platform. Standard Chartered Bank also launched a real time M-Pesa merchant solution that allows the bank’s business customers and M-Pesa agents to deposit and access their float in real time. The solution reduces the time M-pesa merchants take to convert the e-value available to them into cash. Such solutions underscore the increasing importance of technology in bank operations, especially for SMEs and large corporations. 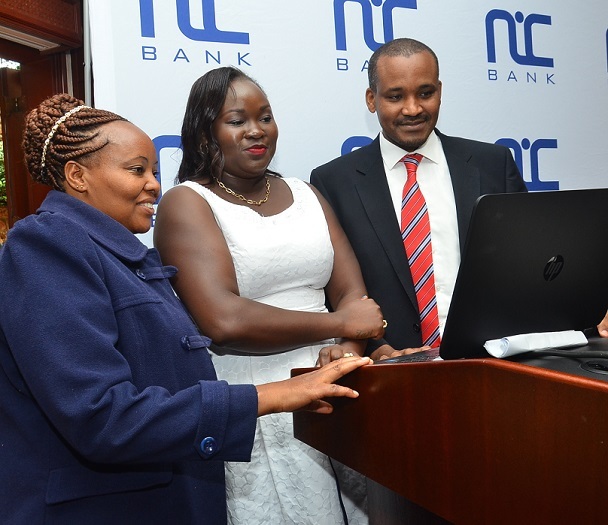 NIC Bank has now launched a new platform aimed at allowing its customers to receive loans easily. The platform allows customers of corporate organizations to apply for loans online, with the processing and approvals for the same taking place online. The platform will target employees of companies involved in the Bank’s scheme product offering, which will reduce time for loan processing by 50%. The customers who apply will also be able to track the progress of their loan application for unsecured personal loans, mortgages, car loans and plot purchase loans. According to Robert Kibaara, NIC Bank Director of Retail, the Bank is looking to reduce the loan application to approval period from 14 working days to 5 working days. The bank will also seek to improve user experience by eliminating the need for customers to visit the bank. “We aim to reduce the turnaround time for the loans to upto one day in the future, and double the amount of loans processed which stands at 10bn a year in 18 months”, he added.